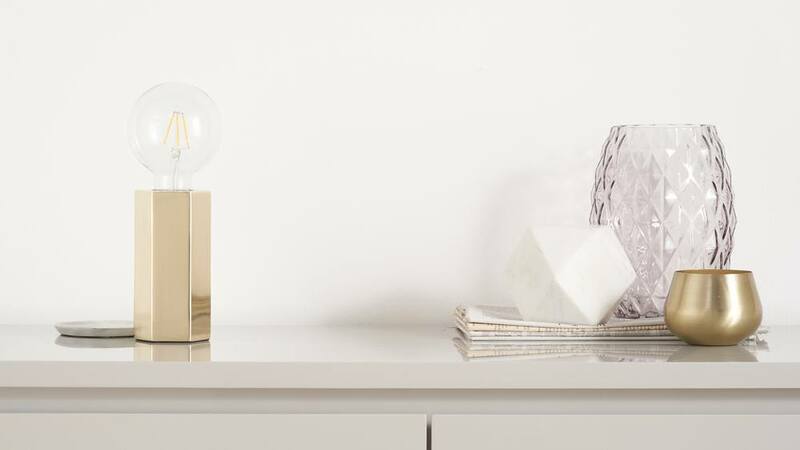 The Felix Hexagonal Brass Table Lamp is a modern piece of decorative lighting that you can style to suit your space. The brass hexagonal base will fit with a variety of bulb shapes, designs and styles, so this small piece can really make a big style impact in your room. 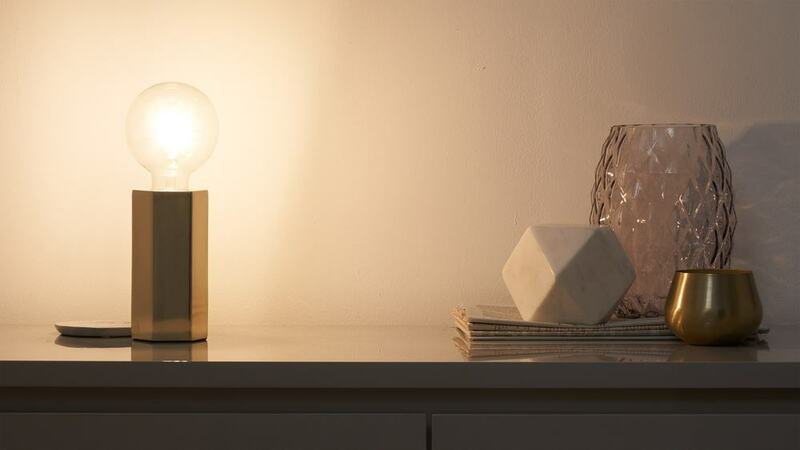 Please note, the Felix table lamp doesn't have a bulb included. This light can fit a variety of bulbs but you'll need to get one with a max watt of 40 watts. 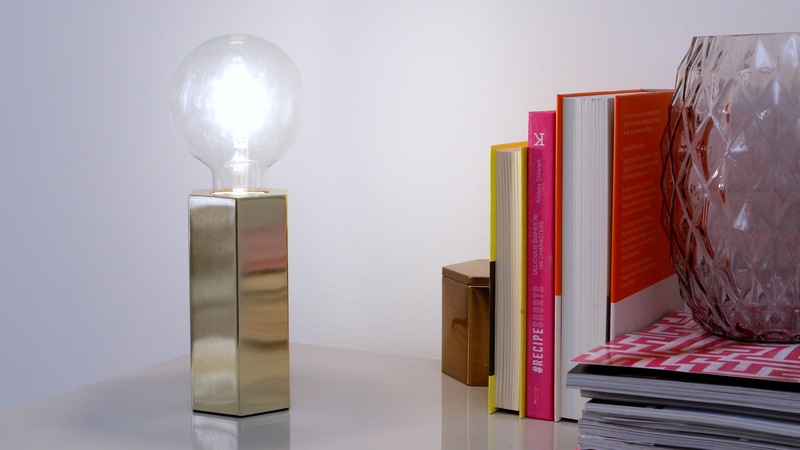 Measuring 15 cm tall, the Felix is smaller than most table lamps. This makes it ideal for smaller desk spaces or for decorative lighting where you can't fit, or don't want, a larger lamp. 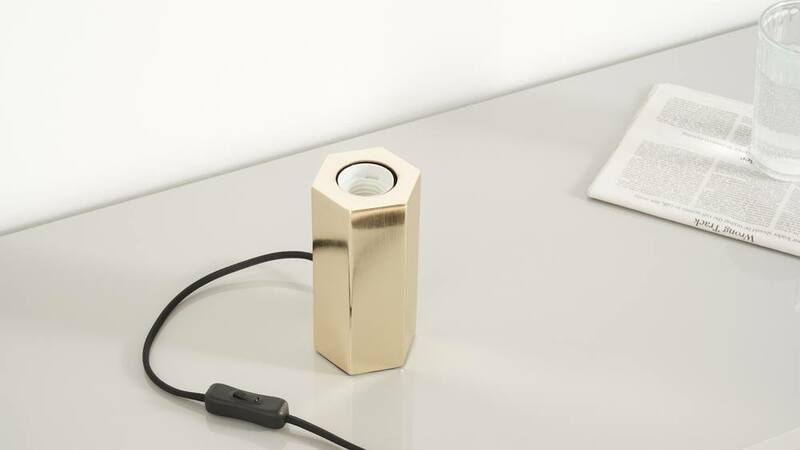 The Felix lamp has a brass hexagonal base. 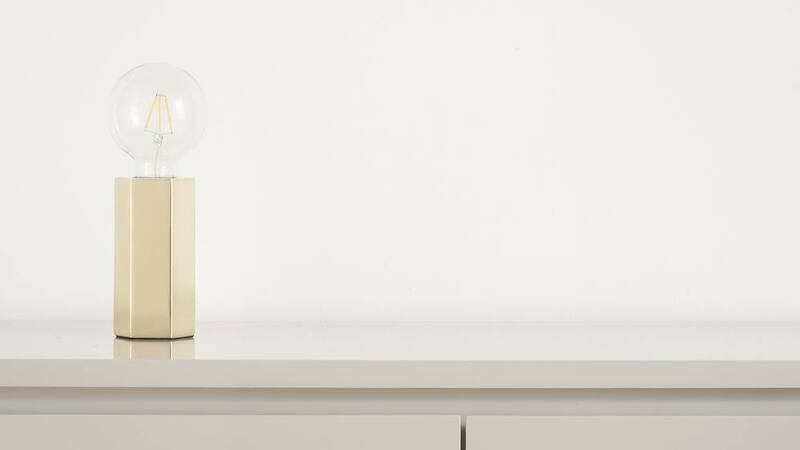 This small lamp has been designed for use with decorative bulbs, so you can really personalise this light to suit your style. The Felix light comes with discrete protectors on the underside of the base to help protect your table surfaces. We have a wide variety of different lighting shapes, sizes and designs, so why not take a look at the whole collection to find some stylish lighting for your home.